Dentistry has many specialties, not just the general dentist that cleans and examines your teeth. 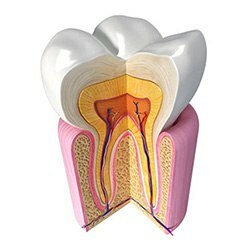 One of these specialties is endodontics, which focuses on the roots and inner layers of teeth. Dentists who choose to pursue the additional training and techniques associated with this specialty are endodontists like Dr. Andrew Calhoun. With his training available at Dental Center of Jacksonville, you can rest assured that when you need an endodontic treatment, he’s the best person for the job. Do You Need an Endodontist? While there are several treatments that endodontists can perform, their main goal is to save the tooth, rather than extract it. It also means cleaning the tooth of any infected tissue and decay, allowing the interior to remain intact. 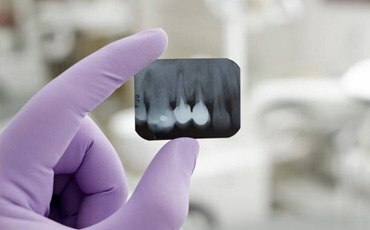 For example, while general dentists can perform root canals, having an endodontist in the practice can be very helpful for more unique or extensive cases. By visiting a practice with an endodontist onsite, Dr. Patel can provide the care you need all in one location, rather than refer you to another practice for treatment. Furthermore, it allows Dr. Patel to work closely with your doctor and build the most effective treatment plan for your case. This is especially helpful if your treatment is particularly complex. Root canal treatments are designed to remove infected pulp, clean, disinfect and shape the canal and finally fill and seal the space. 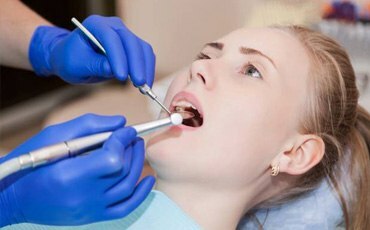 Retreatment is typically for teeth that have not healed properly or become painful after the initial root canal. Endodontic surgery is performed when a nonsurgical root canal is not sufficient to save teeth. This treatment can locate fractures or hidden canals that X-rays may not be able to catch. If you have calcium deposits in your root canal or damaged root surfaces in the surrounding bone of the tooth, endodontic surgery is appropriate. Endodontists are specially trained in treating traumatic dental injuries, including ones where the tooth has become dislodged or cracked. Minor chips can be handled by a general dentist, but teeth with cracks extending below the gum line need to be examined by an endodontist as soon as possible. It could mean the difference between saving the tooth and needing an extraction.